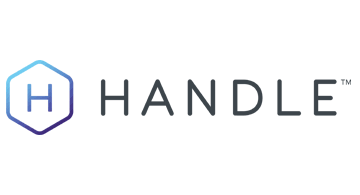 Handle Financial is a financial technology company offering the next generation of payments, bill presentment and financial services under industry-leading compliance and security standards. Our three core offerings form a robust money movement platform that provides secure, real-time bill payments for consumers, an extensive network of retail locations for businesses to collect cash payments, and best-in-class bill presentment and same-day bill payment technology for financial services companies. 1) PayNearMe has been enabling government agencies and businesses to accept cash payments remotely since 2009. PayNearMe’s network of 30,000 trusted retail locations includes CVS Pharmacy®, 7-Eleven®, Family Dollar®, Fidelity Express and ACE Cash Express stores. The company’s payable billers include Comcast, the IRS, Greyhound bus, and the California Department of Child Support Services, among many others. Follow PayNearMe on Twitter and LinkedIn: @PayNearMe. 2) Prism Money is the only personal finance app that lets consumers pay same-day, view bills and track balances across their accounts. We empower users to take control of their finances through real-time account monitoring and paycheck tracking. Users can pay bills using debit/credit cards and ACH with just a swipe. Follow Prism Money on Twitter, Facebook and LinkedIn: @PrismMoney. 3) Handle Platform is real-time bill presentment and bill payment technology for financial services companies and financial institutions, offering their customers the largest network of same-day payable billers in the U.S. Visa and Quicken are just some of the companies working with Handle Platform today.